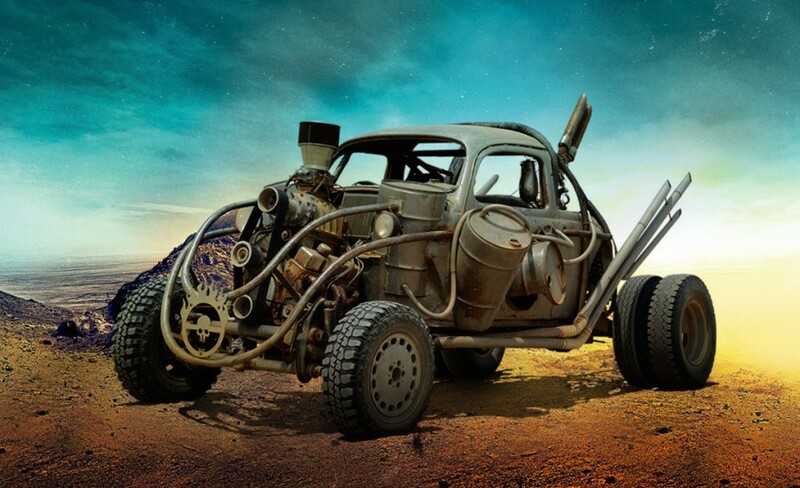 Talks of the twisted metal and high octane vehicles that would populate “Mad Max: Fury Road” began when director George Miller showed production designer Colin Gibson three walls filled with storyboards of the film 15 years ago. “He said, ‘One day this could all be yours,’” Gibson recalls to Business Insider of what Miller presented him. Gibson just didn’t realize how far away that “one day” would be. 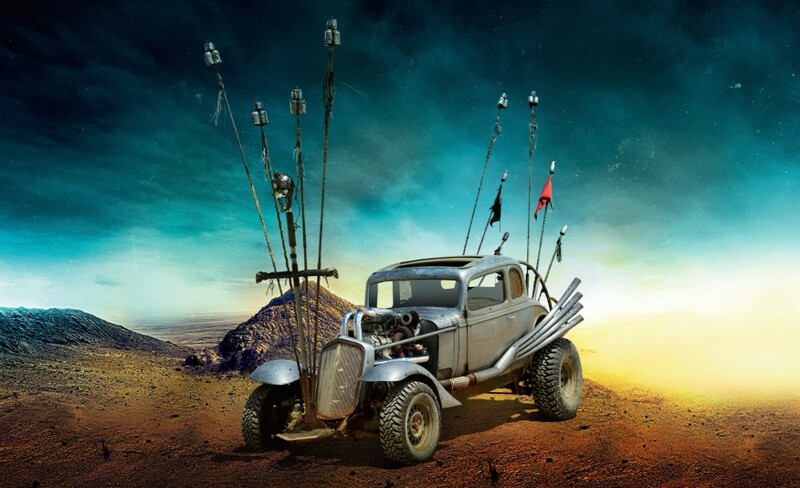 Gibson began building the cars to be featured in the film as far back as 2003, when it was originally going to be shot in South Africa with Mel Gibson returning as Max, a loner in a post-apocalyptic world who navigates through the different gasoline-starved tribes in order to survive. But the plug was pulled on the film leading up to the Iraq War, and the project lingered in development hell until four years ago. 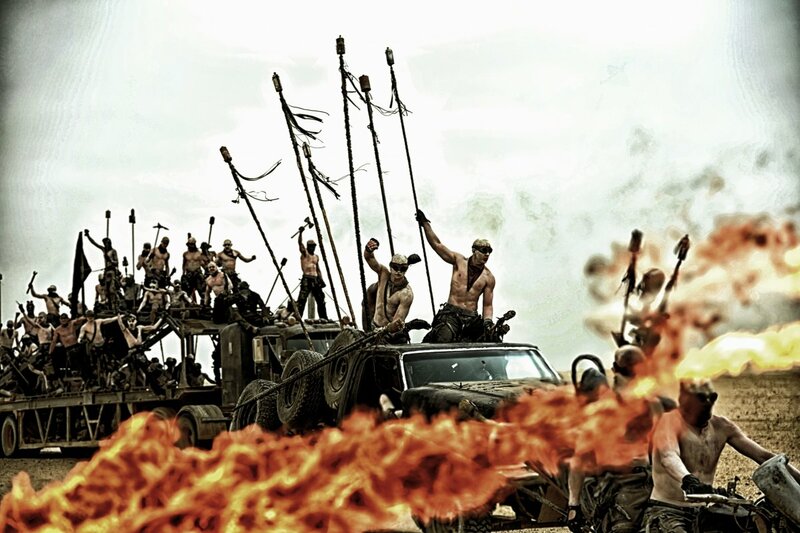 The final version is an action-adventure film starring Tom Hardy as Max and Charlize Theron as Imperator Furiosa. 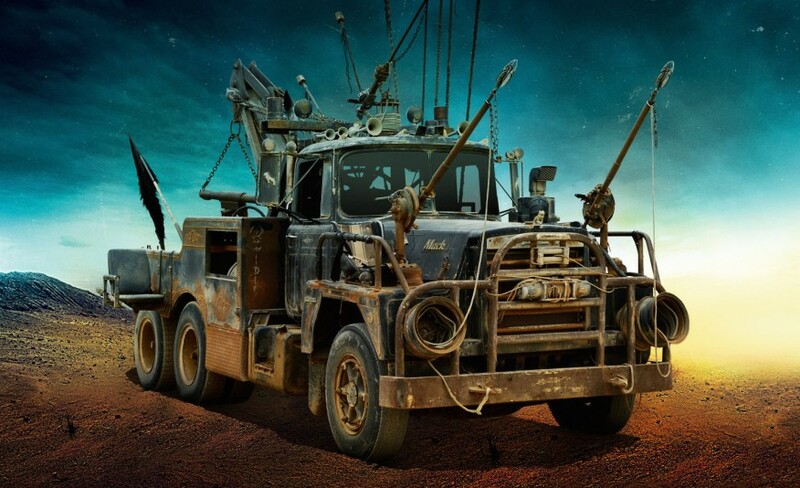 Responsible for driving the massive “War Rig” to replenish her village’s gasoline needs, Furiosa goes rogue and dashes in the truck to parts unknown in hopes of freedom, picking up Max along the way. 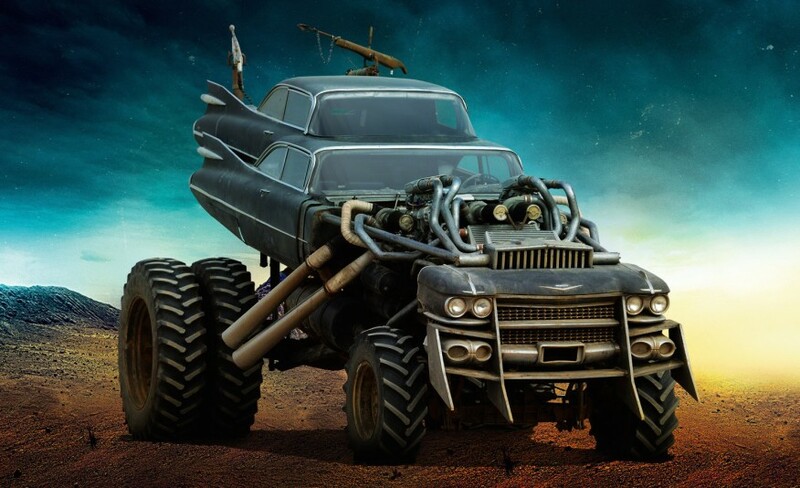 The village’s evil ruler, Immortal Joe (Hugh Keays-Byrne) unleashes his “War Boys” and their gonzo fleet of vehicles to hunt them down. 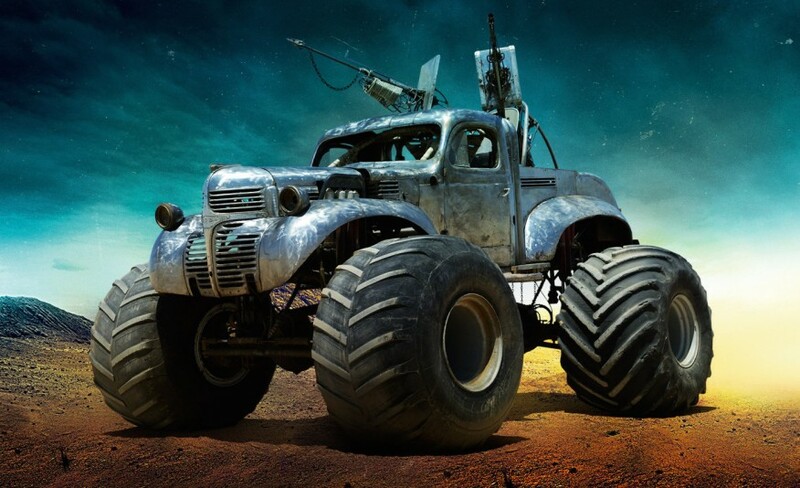 Built over 11 months before production began in late 2011, the close to 200 vehicles Gibson created range from a sedan with massive metal spikes sticking out of it to a giant truck covered with stereo speakers. 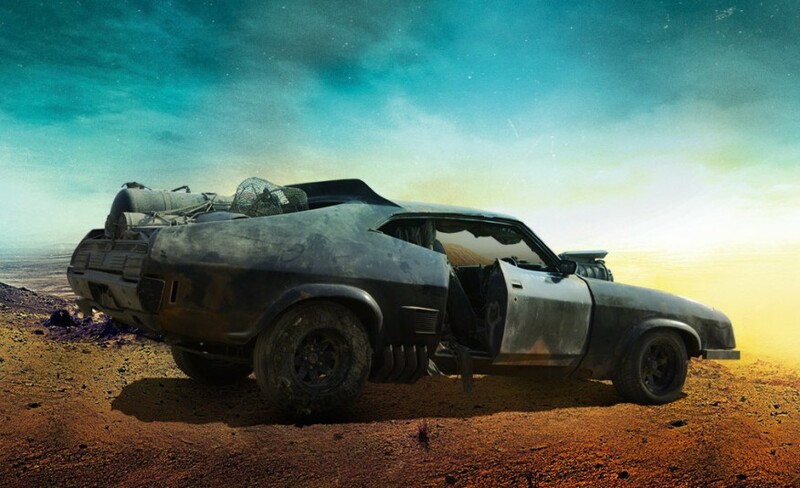 The iconic vehicle from the “Mad Max” franchise is Max’s 1973 Ford Falcon XB GT. 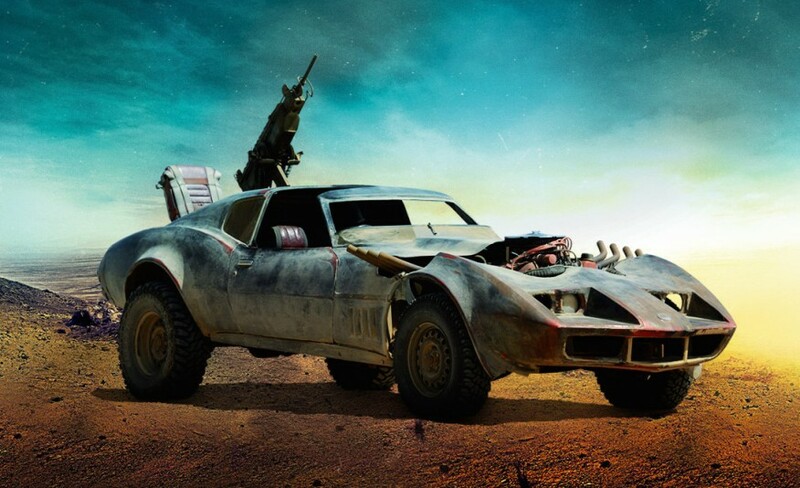 The super-charged car made its first appearance in “Mad Max” in 1979 when Max was chasing down bad guys with it while he was still a cop. 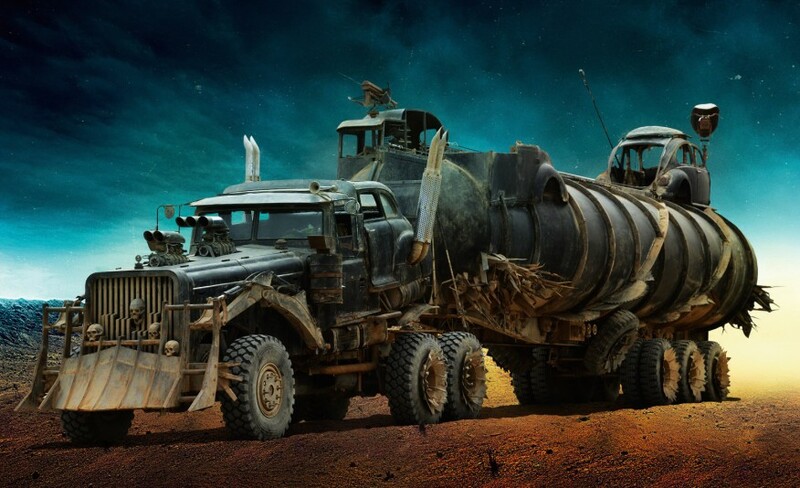 It returned in “The Road Warrior” (1981) where Max used it to escape the clutches of the evil forces who want to take it from him for the gasoline. 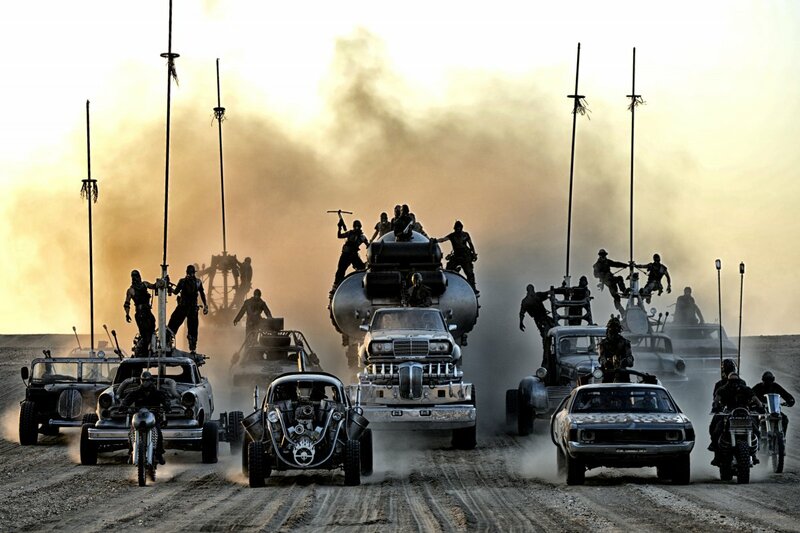 Like in “The Road Warrior,” much of the action in “Fury Road” is on a massive 18-wheeler. But like all things in the movie, it’s unlike any you’ve ever seen. 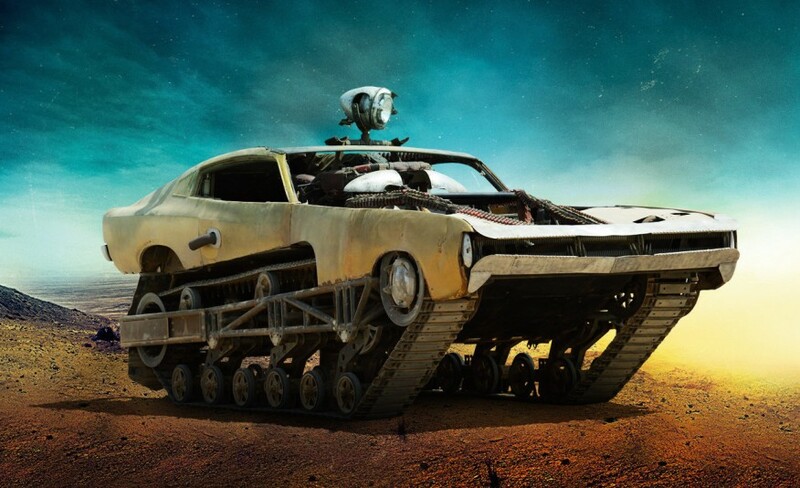 With two V8 engines, and modified cabins throughout, Gibson created a vehicle that the audience wouldn’t get tired of looking at half-way through the movie. 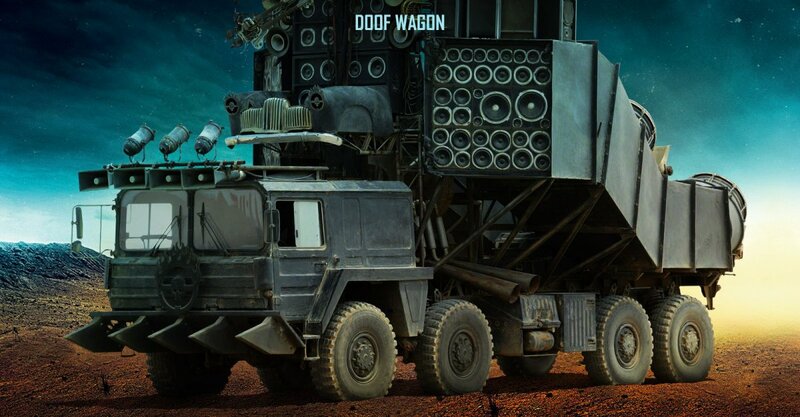 “War Rig was one built more to a prescription than an imagination,” he explains. “It was such an important part of the story that George and the storyboard artists had come to a greater consensus of what was required.” Gibson points out that there are up to 13 different characters inside the rig at any one time through the movie. Gibson said the classic John Wayne western, “Stagecoach,” was an inspiration for creating a moving location where the drama plays out over a long stretch of time. 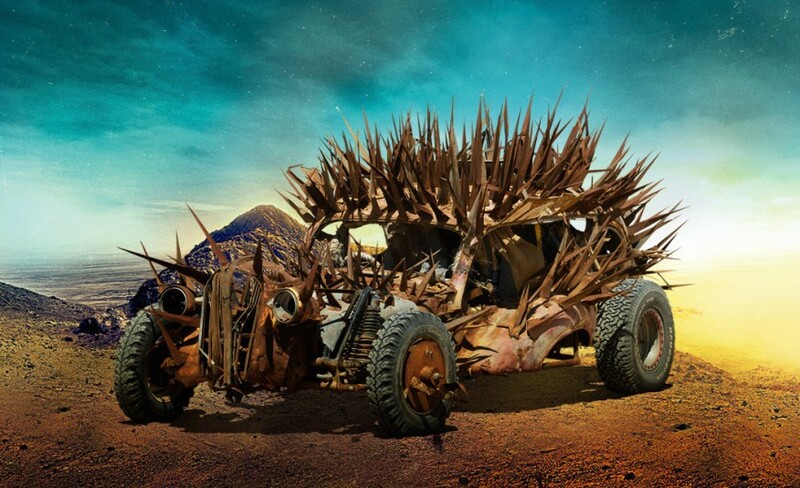 Perhaps the most challenging vehicle, for all involved in the film, was the bandwagon that follows Immortal Joe’s armada of twisted vehicles into battle. “George said every army has a little drummer boy and ours was Spinal Tap on acid,” said Gibson.